The 90’s were such simpler times. The NBA was worth watching. The only problem our country faced was Monica Lewinski. Space Jam was the only movie that mattered to us krazy kids, fashion was a bit iffy and Beyonce was still in Destiny’s Child (still bitter that they broke up). After flipping through channels today and coming across the crap that was on Nickelodeon, Cartoon Network and Disney, it hit me that 90’s television was better. To prove my point, I’m going to carefully analyze some classic shows from my youth. Doug- I feel like Doug was an outcast in Bluffington, which is kind of weird considering Roger was green and a ginger and Skeeter was an athletic smurf who was fond of honking noises. Doug had his neat little journal, and his bland green sweater vest and life was just peachy. Speaking of hipsters, how about his sister Judy? That is what you call a girl who is not fond of mainstream things. 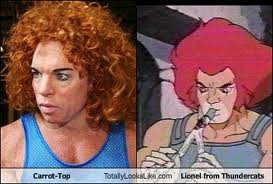 Thundercats- Yep. I don’t know either. Teenage Mutant Ninja Turtles- A group of teenagers who double as ninjas all while being turtles will always make for intriguing TV. They love pizza, were fond of famous painters, were trained by a rat named Splinter and their arch nemesis was a bro named Shredder. That pretty much sums it all up. Hey Arnold- Definitely one of the finest shows of our generation. Every episode was solid, never disappointing. My only complaint is that we still have no idea what happened to Arnold’s parents. It’s been keeping me up nights for the past 10 years. On a serious note, who didn’t love Stoop Kid, the Jolly Olly Man, Gerald Field, Grandpa, the kid who had breathing problems and always got beat up by Helga. Spongebob- Squidward made the show because he was depressed, sarcastic and realistic. I liked that about him. Patrick was out of shape. Mr. Krabs was a penny pincher. Spongebob was immature and socially inept. Gary suffered from an identity crisis and thought he was a cat. Honestly, Spongebob always kind of creeped me out. Hey Dude- Ranch bros hanging out with wannabe southern belles. Does anyone remember what that show was even about? Boy Meets World- Perhaps the most realistic show to be on the air throughout the 90’s. I wish Mr. Feeny was in charge of Providence College. The only thing kind of fishy about the whole series was that a girl was actually named Topanga. What kind of a name is that? Is it Dutch? Scooby Doo- Kids in the 70’s solving mysteries, always having the munchies, in a groovy mystery machine, with a dog that they can all talk to. Hooray for drugs. 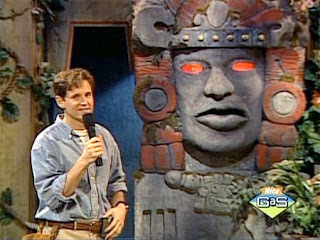 Legends of the Hidden Temple- This was the greatest game show of our generation. Sure, Family Feud was awesome back in the day where Richard Dawson stole kisses from every female contestant on the show, but it wasn’t as exciting as Legend of the Hidden Temple. The Blue Barracudas, Red Jaguars, Green Monkeys, Orange Iguanas, Purple Parrots and Silver Snakes, you really can’t go wrong. The final stage where contestants had to complete Olmec’s Hidden Temple always made for exciting television. I swear I was on the edge of my beanbag chair watching those 90’s nerds win a trip to Space Camp. P.S. Kirk Fog had perfect 90's TV gameshow host hair. Could've been a character on Dawson's Creek with that 'do. All That- SNL junior. May have been better than today’s SNL. Serious question, why isn’t Kel on Saturday Night Live? He was the driving force of the Kenan and Kel show, yet Kenan gets all the glory and Kel was last seen doing a freestyle in a Sprite commercial. It is such a cruel world. Does anyone know if that rumor is true that Lori Beth Denberg was the fat cheerleader in Dodgeball? Talk about going downhill. Thomas the Tank Engine- It is starting to occur to me that most of the shows that us 90’s kids grew up with involved inanimate objects talking. Granted it did have the Beatle with the coolest name, but that didn’t help me out any because I hate the Beatles, but that is for another day. What was the plot of Thomas the Tank Engine anyways? Learning stuff? How boring. Teletubbies- I get the whole weird creature concept. I get the weirdo names like Dipsy, Po, Little Mo With the Gimpy Leg, Laa-Laa…maybe not Tinky Winky, that was a bit weird. I understand it was a children’s show. What I don’t understand is what the hell was that baby in the sun? Was this sun baby a type of Messiah? Was this baby the Tim Tebow to these Teletubbies? This show had too many questions floating around to be enjoyed the masses. Dragon Ball Z- I never watched this show growing up but all I heard was that it dealt with dragons and fireballs and rainbows and two Eskimos who dealt with the daily struggles of going to high school in a boring town. Not really my cup of tea. Sailor Moon- I got suckered into this show. My sister went bananas over this show when she was knee-high to a grasshopper. Everyday before school I would watch 30 minutes of Sportscenter and then be forced to watch an episode of Sailor Moon on Cartoon Network. It kind of seemed like Pokemon with real people mixed in with some planets and stuff. It was really weird, I’m not gonna lie. Also, Tuxedo Mask was a badass character, but I think this was the wrong show for him. Every anime series needs a dashing, mysterious young man who wears a mask. It’s like phantom of the opera minus the singing and the deformities. 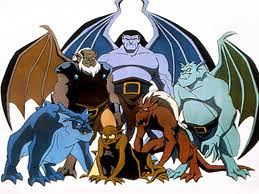 Gargoyles- Special thanks to Kevin Coughlin for reminding me of this gem. Essentially, this was a dark, depressing cartoon that seems like it would be a favorite of Dungeons and Dragons players. Basically a bunch of gargoyles were under a spell and could only come out at cloudy nights, which was helped by some millionaire who bought a skyscraper and moved said gargoyles to the rooftop. These gargoyles dealt with struggles, mostly the fact that they got moved to New York City. Imagine that? Being under a spell for two thousand years and all of a sudden you become alive again and have to deal with New Yorkers. I’d rather be encased in stone. The Knicks are that terrible. Clarissa Explains it All- I always was a big fan of how Sam would hang with Clarissa by entering her second story window via ladder, while a brief guitar sound played to notify everyone that he was coming. I wish I had that ability. I can just picture every time I walk into my third floor apartment, as I turn the doorknob the sound of an owl hoots, or a musical triangle is played. I have to look into this. Anywho back to the finest show Melissa Joan Hart ever did that wasn’t about a teenage witch. What the hell did she explain? Teenagers don’t know anything. They think they know everything, but when it comes down to it, they really don’t know anything. Nothing Clarissa explained to me was really all that important and worth writing down. This show was kind of a letdown. She didn’t give me any advice regarding grad school or post-college plans. That Clarissa was so selfish. Wild Thornberry’s- Three things made this show enjoyable for me. 1. Flea from the Red hot Chili Peppers was the voice of that Tarzan kid (who obviously had some mental problems that have never been discussed. 2. Nigel Thornberry had the best voice of any cartoon character ever created, and it is not up for debate. 3. Debbie Thornberry. Talk about a hipster/grunge/slacker queen. Debbie Thornberry always had that nonchalant swagger about her. She was one of those girls who was good looking and knew it, but never said it outright. Besides that, the show kinda sucked. Just another show about a nerd with no friends who thinks she can talk to animals. Yawn. But that Debbie Thornberry. Holy smokes. What a gal. Pete and Pete- No doubt in my mind that Pete and Pete’s parents were on drugs. Name both your sons Pete? C’mon. That is just asking for trouble. The fact that they were both gingers didn’t help their cases out too much. Also, it really wasn't that funny. 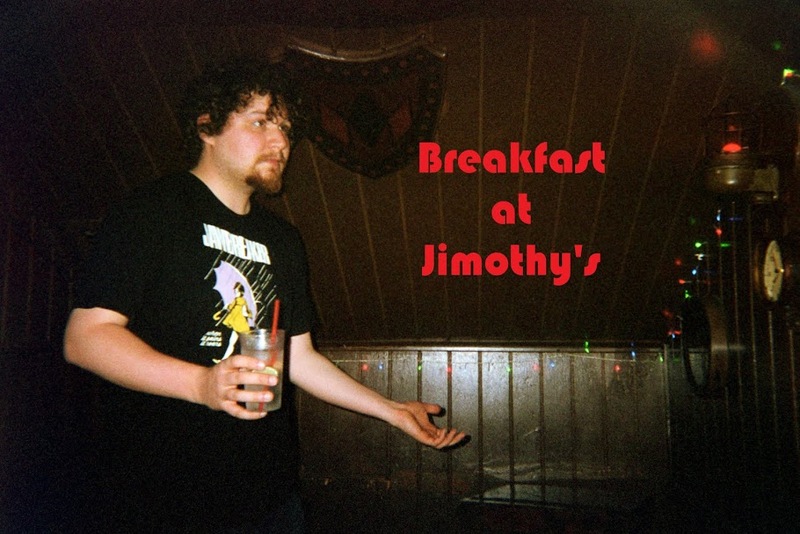 Now Danny Tambawhatever is working as a short-order cook in Jersey somewhere. Be careful Ronnie from Jersey Shore, this fate awaits you next. The Muppets- No words are needed. Best show ever. Gonzo/Kermit 2012.